Three students from Dibrugarh district shined in this year’s HSLC examination securing positions among the top ten rank holders. 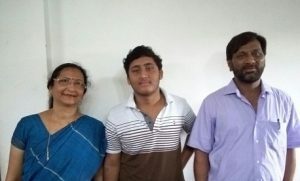 Shreyash Bhattacharjee of Salt Brook School, Dibrugarh secured the 10th rank obtaining 584 marks out of 600. Shreyas who is the son of Sanjib and Aditi Bhattacharjee of Gangapara. He expressed his happiness saying he was not expecting a rank in the top ten. Expressing his desire to study Physics in future, he intends to pursue his 10+2 from Salt Brook Academy, Dibrugarh. 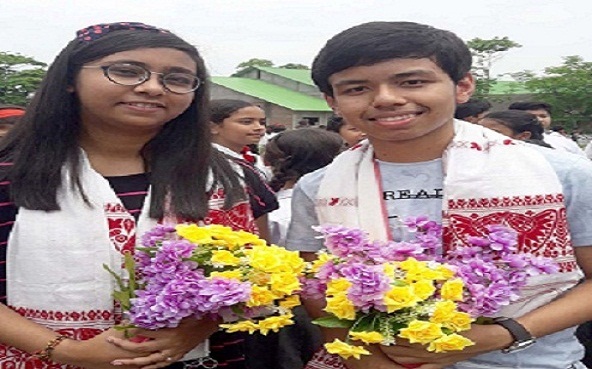 On the other hand, two students from Brahmaputra Valley Fertilizer Corporation (BVFC) Model School, Namrup found place among the top ten rank holders. Ashish Handique secured the 8th position while Syeda Inaya Tabassum secured the 10th rank. This year altogether 14,430 students from Dibrugarh district appeared for the examination out of which 7,643 passed. The pass percentage of the district is 52.97 as against the All Assam percentage of 56.04. A total of 2,773 students secured first division while 3,004 students got second division and 1,866 students got third division.